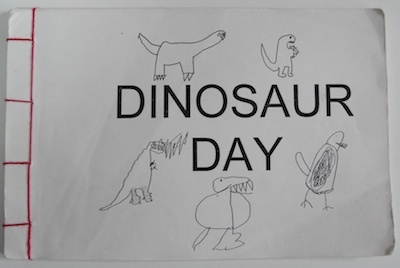 In honor of October being International Dinosaur Month, here's a collaborative project I did with my daughter's preschool class at the Newburyport Montessori School in 1996. 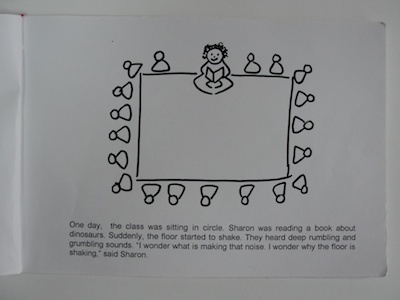 We called our publication company Peace Corner Press and made multiple copies of Dinosaur Day—one for each student and teacher. 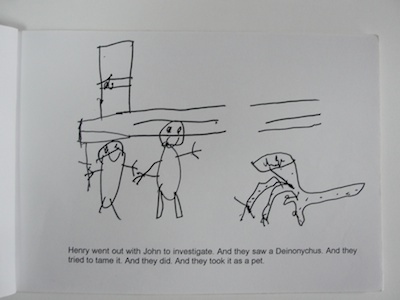 Each child contributed one drawing and an accompanying text which is most cases was dictated to a teacher. 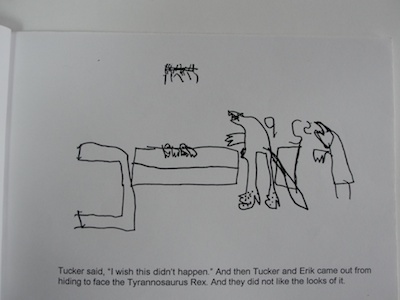 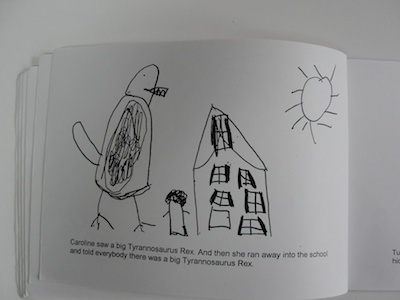 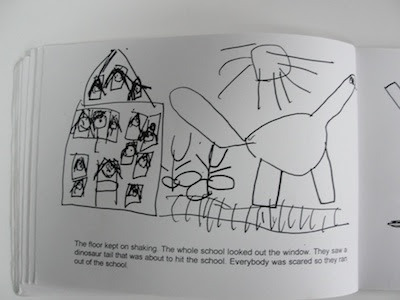 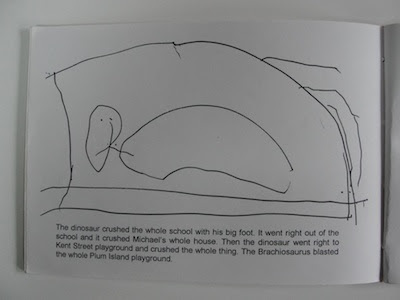 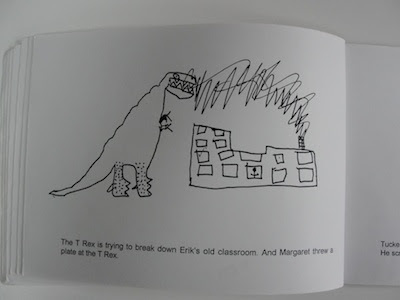 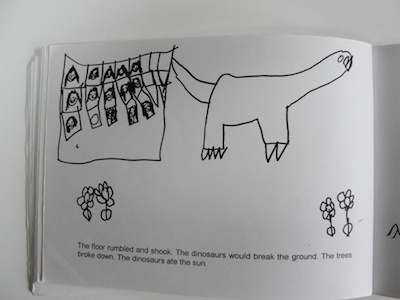 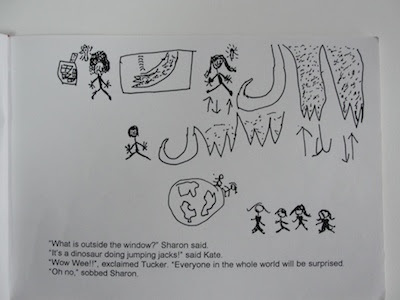 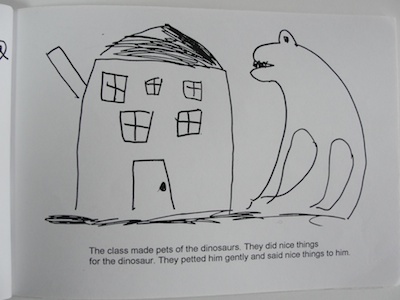 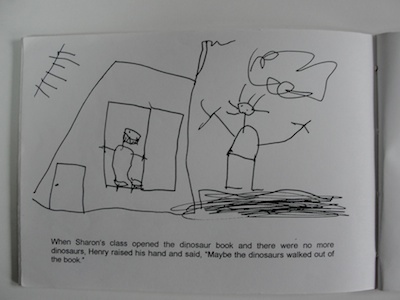 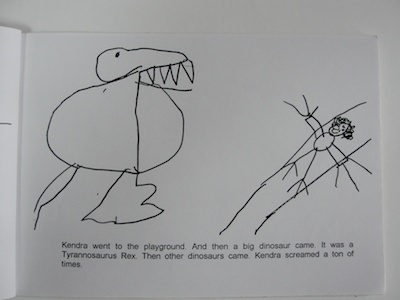 We gave each child a piece of paper slightly shorter than the size of a page (to leave room for the text at the bottom) and she drew a picture of what might have happened after the dinosaur foot was seen and then dictated a story to accompany the drawing. 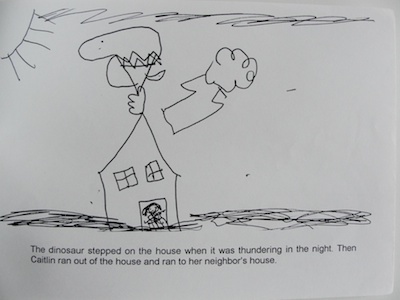 I assembled the pictures and words into a story. 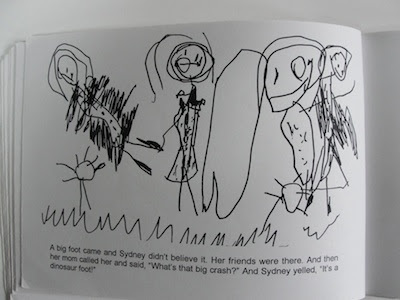 It was a bit of a challenge to wrestle the events into a story line but I think it worked pretty well. 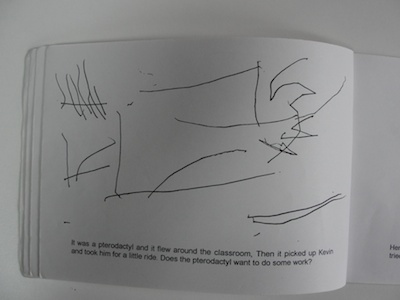 I prepared the pages which were then copied by photocopier. I used 11" x 17" paper (ledger size). 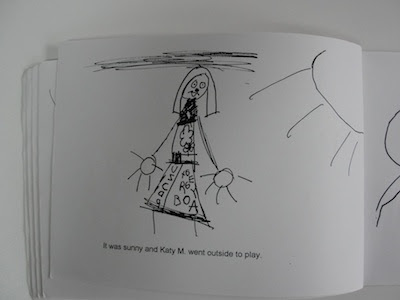 It was cut in half the long way and then folded to make the pages. 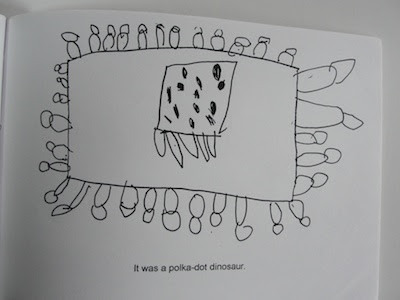 We stitched the books with a Japanese binding. 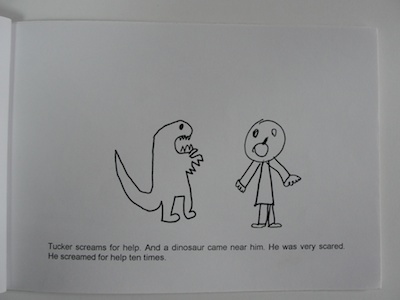 I worked with groups of 3 to 4 children and an adult helper. 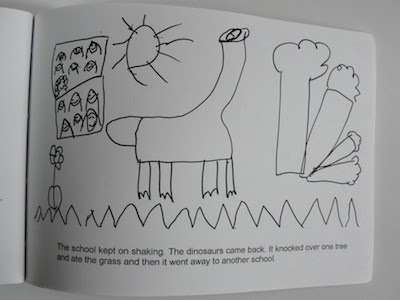 Each child took home a copy of the book.